The delay fuels international concerns of a worryingly slow probe. 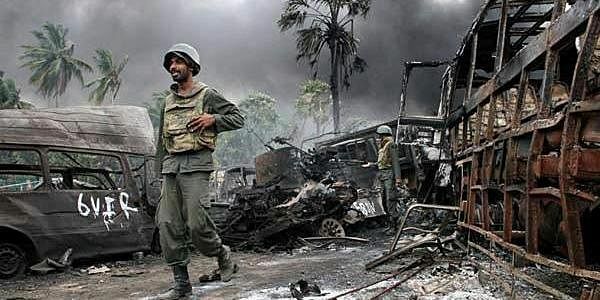 COLOMBO: Sri Lanka has asked the United Nations for two more years to investigate war crimes as a previous deadline lapses, Colombo said Monday, fuelling international concerns of a "worryingly slow" probe. A UN Human Rights Council resolution in October 2015 granted Sri Lanka 18 months to establish a credible investigation into abuses committed during the island's 37-year ethnic war. Allegations include claims government forces killed up to 40,000 Tamil civilians in the final months of fighting, which ended in May 2009. However, despite President Maithripala Sirisena agreeing to the UN resolution, Sri Lanka has so far failed to instigate an inquiry. Colombo now risks censure from the Human Rights Council, which could report Sri Lanka to the UN Security Council for punitive action such as sanctions. The foreign ministry in a statement Monday said it had sought more time at the Human Rights Council in Geneva to deliver on accountability and ethnic reconciliation. "What Sri Lanka will undertake at the current ​34th session (of the UNHRC), is a two-year extension of the timeline for fulfilment of commitments made in Resolution 30/1 (in October 2015)," the ministry said. The request follows a damning 18-page report that UN human rights chief Zeid Ra’ad Al Hussein unveiled earlier this month, expressing concern over "worringly slow" progress by Colombo. Zeid recommended that Sri Lanka adopt laws allowing for special hybrid courts to try war criminals, a demand already rejected by Sirisena, who declared he would never prosecute his soldiers. But Sri Lanka's main opposition Tamil party has accused Sirisena of failing to deliver on accountability. But it cautioned that the measures taken so far had been "inadequate, lacked coordination and a sense of urgency".